The TCT Awards are delivered by The TCT Group a division of Rapid News Group. 6.1 The TCT Awards reserves the right to make alterations to the event, programme, venue and timings. 6.2 In the unlikely event of the event being cancelled by The TCT Group, a full refund will be made. Liability will be limited to the amount of the fee paid by the delegate. 6.3 In the event of it being found necessary, for whatever reason, that the event is postponed or the dates changed, The TCT Group will not be liable for any expenditure, damage or loss incurred by the delegate. 6.4 If by re-arrangement or postponement the event can take place, the booking between the delegate and The TCT Awards shall remain in force and will be subject to the cancellation schedule in paragraph 3. Views expressed by speakers/hosts are their own. The TCT Group cannot accept liability for advice given, or views expressed, by any speaker/host at The TCT Awards or in any material provided to delegate. Due to the nature of the hosts work, a replacement host different to the one advertised may be used. These are the terms and conditions upon which each Entry to The TCT Awards shall be subject. If Rapid News Publications Ltd, the TCT Group or the TCT Awards (“We”, “Us”, “Our”, or “the Awards”) accept an Entry (“You”, “Your” or “Entrant”), You will be bound by these terms and conditions and Your Entry shall be considered and judged in accordance with these terms. We reserve the right to amend these terms and conditions at any time and such changes shall be deemed notified to You by their publication online. ‘Voters’ or ‘Public’ means the public. This covers, show attendees, exhibitors, industry organisations and individuals within the 3D technology community and beyond. Voters will cast votes for the Hall of Fame. ‘Closing Date’ means 17.00hrs (GMT) on 1 June 2018 for Entries into the awards. The project must have been publicly released during the judging eligibility period which runs from 1 January 2017 to 1 June 2018. ‘Voting closing date’ means 17.00hrs (GMT) on 18th June 2019 for Voting for the Hall of Fame nominees. Any votes received after the Closing Date shall not be counted. ‘TCT Advisory Board’, ‘TCT Expert Advisory Board’ or ‘Judges’ means a number of individuals who have been pre-selected as noted members of the industry and are members of the TCT Expert Advisory Board to Judge the Awards. ‘TCT Hall of Fame’ is a trademark of the TCT Awards and refers to a specific award category that is conducted via The TCT Awards. 1. The TCT Awards are open to organisations and individuals that have seen demonstrable benefit from using Additive Manufacturing and 3D technologies within their projects. 2. The closing date for entries to the TCT Awards 2019 is 17.00hrs (GMT) on 18th June 2019. Entrants may enter several Categories. All entries must be received by the Closing Date. 3. All entries must be made through the online entry form. Entries through other routes will not be accepted without express prior permission from Us. Please ensure you complete your entries by the date advertised, on submission you will receive acknowledgement of receipt. If you do not obtain such a receipt within three days, it is your responsibility to contact us to confirm its arrival. Unless you have this written or verbal confirmation from us, we cannot guarantee the arrival of your entry. Entry enquiries can be directed to Amanda Hull, Special Projects Manager on 00 44 (0)1244 952 521 or at Amanda.hull@rapidnews.com. 6. The TCT Awards reserve the right to re-categorise entries if they think another category would be more suitable. However, they will not routinely re-categorise incorrectly entered projects. 8. The following methodology will be used during voting for the TCT Hall of Fame Awards process. The TCT Awards reserves the right to change or amend this methodology at any time. All Entrants will be notified by email within 24 hours of such changes. a. Stage 1 – The TCT Expert Advisory Board members will each put forward five names for nominees they feel merit consideration for Hall of Fame inclusion, creating the ‘Longlist’. b. Stage 2 – The 5 nominees with the highest combined scores will then become the ‘Shortlist’. c. Stage 3 – The shortlist will be published on the official TCT Awards website and voting will be opened to the public. The nominee with the highest number of votes will be inducted into the TCT Hall of Fame at the awards on Wednesday 25th September 2019. 9. The judging panel’s decision is final. The TCT Awards reserves the right to change the judging panel at any time without notice. 10. 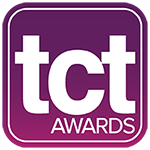 The TCT Awards shall by way of a judging panel consider each Entry on its merits based solely on the information referred to in the relevant Entry. All Entries shall be considered in accordance with these terms and conditions and, in the course of judging an Entry, any judge may request further information about the Entry from the person named as the contact for the Entry submitted. Failure to supply the information requested will result in the disqualification of the Entry from the Awards. 11. Our decisions relating to short-listing and granting of awards in the course of judging the Awards are final and We will not enter into any correspondence or discussion with any Entrants on any subject nor will We accept any submissions or representations or appeals with regard to such decisions. 12. External contact with any member of the awards judging panel relating to the judging process, or its outcome, or any attempt to influence any member of the judging panel will result in immediate disqualification from the awards. 13. Winners are permitted to refer to the fact that they are winners and use the appropriate The TCT Awards logo in their own publicity materials for a period of 3 years from the date on which they receive the award. 14. We reserve the right to shorten entry titles for the purpose of the awards brochure and winner’s trophies. Please try and keep your entry title concise and to the point. 15. All Entrants agree to their entries being used for promotional purposes by The TCT Awards throughout all media channels. We reserve the right to refer to information supplied within the Awards Supplement or any other Awards related communications. Entrants may however mark sensitive parts of their entries ‘not for publication’ provided such restrictions are not used unreasonably. 16. When the entrant is submitting work/materials which are not their own/they do not own the rights to, it is the entrant’s responsibility to ensure that they have permission from the owner/3rd party to submit the entry and the owner/3rd party’s approval of the entry and any respective credits. 17. The TCT Awards accepts no responsibility for any incorrectly submitted information. 18. These terms and conditions shall be governed in all respects by the laws of England and Wales, and both parties agree to submit to the exclusive jurisdiction of the English courts. 19. Please do contact us if you have any questions regarding your submission. All enquiries (including withdrawal of entries) to be directed to Amanda Hull, Special Projects Manager on 00 44 (0)1244 952 521 or at Amanda.hull@rapidnews.com. 20. Applicants will be shortlisted in each category and the shortlist will be published August 2019. 21. Winners will be announced at The TCT Awards Ceremony on 25th September 2019 to be held the National Conference Centre (NCC), Birmingham, UK. 22. All information herein is correct as of 14/03/2019. Rapid News Publications Ltd reserves the right to change dates, categories and procedures at any time by updating these terms and conditions.